I love yard sales, especially when you find amazing deals. This summer I hit a yard sale and was about to leave when I noticed a couple baskets full of beads. She was selling them for 50 cents a strand. Of course I grabbed quite a few strands. 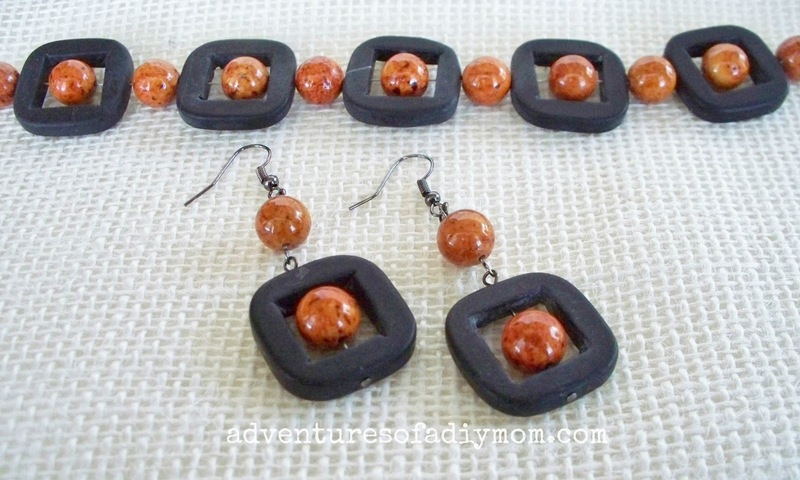 I'm loving these square beads! I knew just what I wanted to do with them. 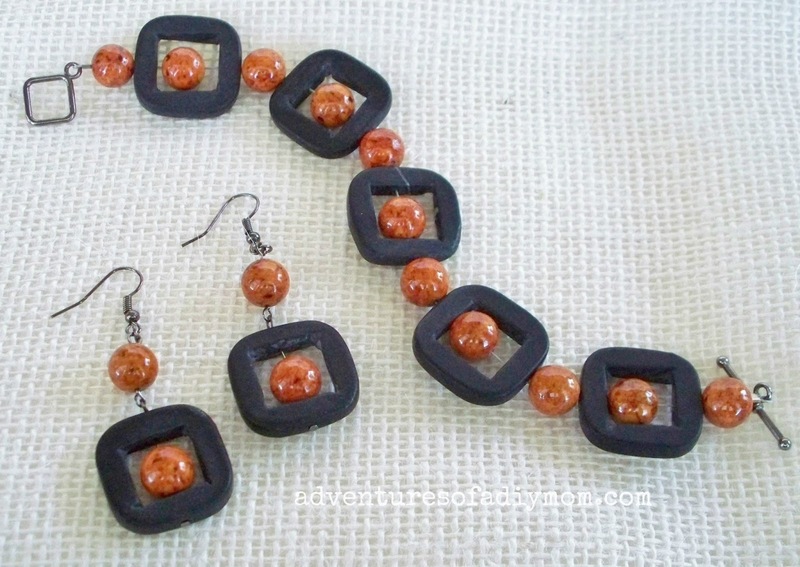 A bracelet and earring set! 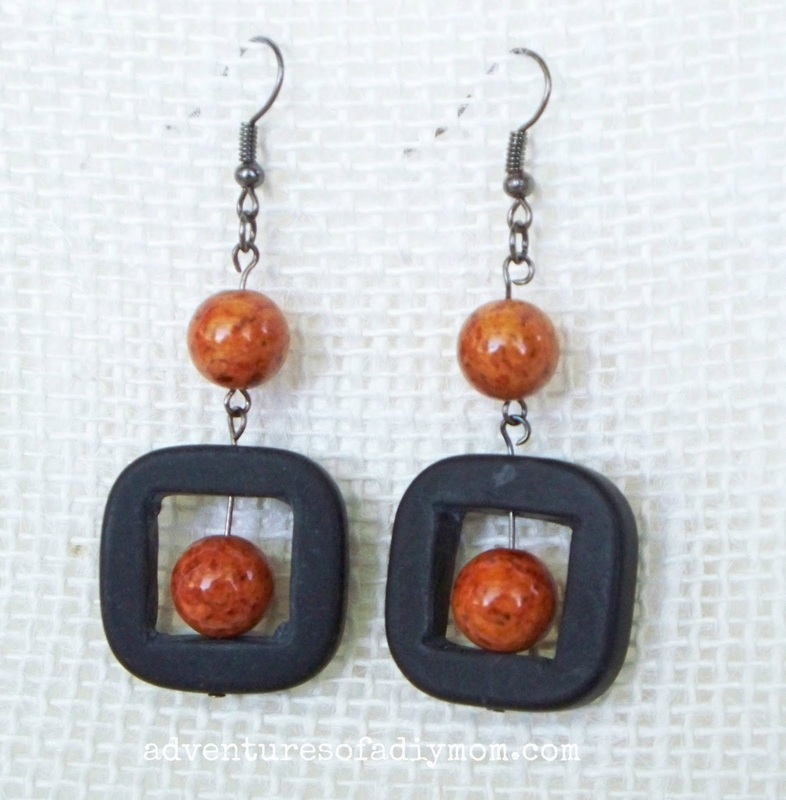 1- Slide a grey and orange bead onto a head pin, with the orange bead in the middle. Form a loop at the top. 2 - Slide an orange bead onto a eye pin. Form a loop at the top. 3 - Attach the two together by opening the loop slightly, adding the other loop and then closing. 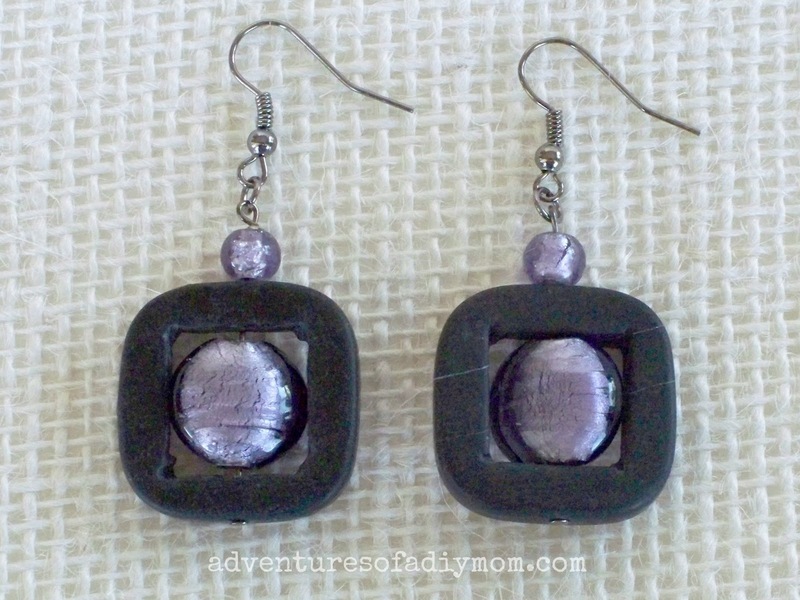 4 - Using a jump ring, attach an ear wire to the top. 5 - Repeat for other earring. 1 - Cut a length of wire 12 inches long. 2 - String wire through a crimp bead, then a clasp and back through the crimp bead. Crimp. 3 - String on the beads. 4 - String wire through a crimp bead, then a clasp, then back through the crimp bead and two beads. Pull wire tight and crimp. Clip excess wire. Do you yard sale? What deals have you found?